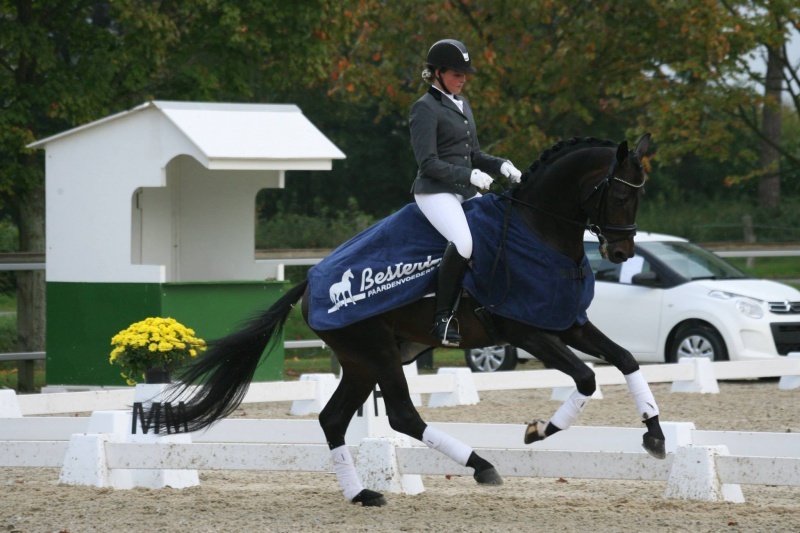 Last weekend our handsome 4yr stallion Be Smart (Bordeaux x Sandro Hit) won a performance test for young dressage talents. He has been ridden by Sandra Klein Gunnewiek. The jury’s comments came from Sjak Laarakkers, and he gave ‘Be Smart’ the highest score of 84 points!